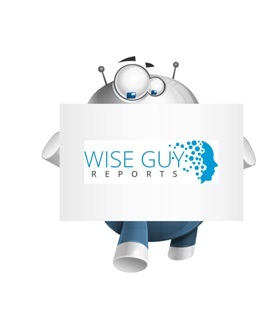 WiseGuyReports.Com Publish a New Market Research Report On –“ Wireless In-flight Entertainment (W-IFE) Market 2019–2026 : Global Growth Drivers, Opportunities, Trends, and Forecasts”. The global Wireless In-flight Entertainment market is anticipated to reach USD 3,638 billion by 2026. The market growth of wireless in-flight entertainment market is highly propelled by the increasing trend of BYOD among people in both developed and developing economies. Also, rising preference of people to use their own devices onboard has also complemented the market growth. The services offered by the wireless in-flight entertainment systems are easily accessible on the passengers’ personal devices as well as portable media interface devices provided by the airline. The market for wireless inflight is segmented on the basis of aircraft into narrow-body, and wide-body. The narrow-body aircraft is expected to dominate the market for wireless in-flight entertainment market and is anticipated to continue its dominance during the projected period. The growth of this segment is due to the increasing demand for narrow-body aircrafts for short-distance routes. Furthermore, the regional jet segment is expected to grow at a high pace during the projected period as airlines globally are upgrading their regional jet fleets with wireless in-flight entertainment systems. Moreover, the market is also segmented into product, fitment, hardware, and technology. The product segment is further divided into embedded IFE, portable IFE, overhead IFE, and wireless IFE. The fitment segment is categorized into linefit and retrofit. The retrofit market of wireless in-flight entertainment is anticipated to be the fastest growing segment during the projected period of 2017-2026. This growth is attributed to the increasing adoption of retrofit wireless in-flight entertainment systems by the airlines, as it benefit the airlines to reduce overall flight weight and increases profit margin along with providing improved passenger experience. North America is the leading the market for wireless in-flight entertainment owing to high spending capacity of people for air travels resulting in their increased demand for better passenger experience. The Asia Pacific region, which comprises of several developing economies, is facing a tremendous growth in its airline industry due to increased spending capability of the population resulting in increased air travel. Also, the airline industry in Asia Pacific is highly competitive thus, airline companies are investing significantly to provide updated technology for enhancement of passenger experience. Major industry players include Gogo Inc., Bluebox Avionics Ltd, Inflight Dublin, Ltd, Panasonic Corporation, Lufthansa Systems GmbH, SITA OnAir, Rockwell Collins Inc., Thales Group S.A., Zodiac Aerospace SA, and BAE Systems PLC.